Ibiza, lunes 16 de Septiembre (FIX Ibiza).- Freddie Rocks Ibiza, la cita anual de Ibiza Rocks House at Pikes Hotel que recuerda el aniversario del nacimiento del artista, recaudó el pasado 1 de septiembre 4.500 euros que irán destinados a The Mercury Phoenix Trust, la asociación que formaron en 1991, tras la muerte de Mercury, el manager y el resto de componentes de la banda que lideraba, Queen, y que trabaja por la lucha contra el sida en todo el mundo. Por otra parte, y hasta el cierre oficial del legendario hotel, quedan por delante algunas citas importantes. Septiembre y octubre son buenos meses para disfrutar de la isla y desde Ibiza Rocks House at Pikes Hotel bien lo saben. La exitosa residencia del actor Idris Elba de los viernes llegó a su fin pero las noches no se han quedado vacías. Desde ahora y con Smokin’ Jo como alma de la fiesta, el viernes 20 de septiembre la celebración sigue, con grandes cabezas de cartel entre los que se encuentran Skin (Skunk Anansie), David Morales, Bones, Andy Carrol o Colin Peters, desde medianoche, en Ibiza Rocks House. Continúa además una de las citas clásicas del Ibiza Rocks House at Pikes Hotel. Los domingos, el mejor asado tradicional británico se sirve junto a DJ Antz Bryans y sus amigos. Por Play it by Ear ya han pasado figuras respetadas como Arthur Baker, Patsy Palmer, Disco Don Nigel Atkin, Hugo Heathcote, Jon Sa Trinxa, Colin Peters, Dave Lubin o Justin Field, entre muchos otros. Hasta el día de su cierre, el domingo 13 de octubre, cierre oficial de Ibiza Rocks Hpuse at Pikes Hotel, aún quedan cuatro citas imprescindibles. Volviendo al ‘closing’, matizar que será un día muy Rocky Horror Picture Show, con la proyección de este fabuloso musical y otras sorpresas. 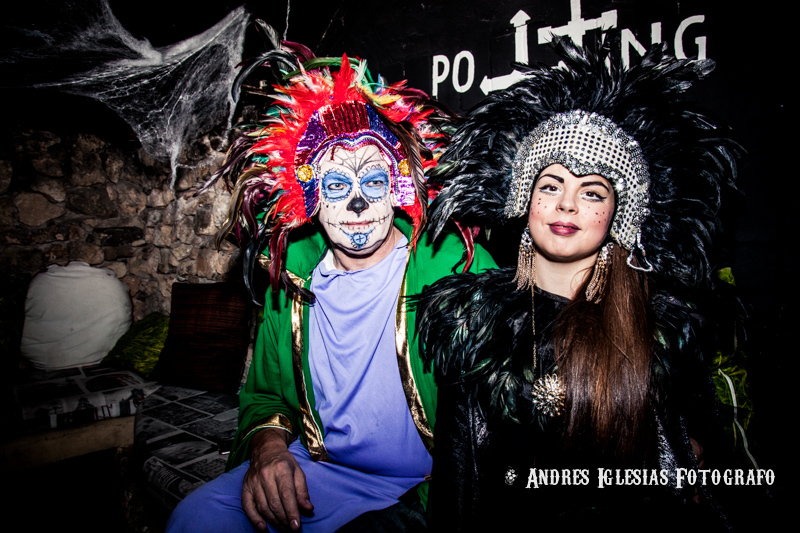 Y cuando Ibiza se queda tranquila y los alrededores de Ibiza Rocks House oscurecen temprano, llega Halloween. 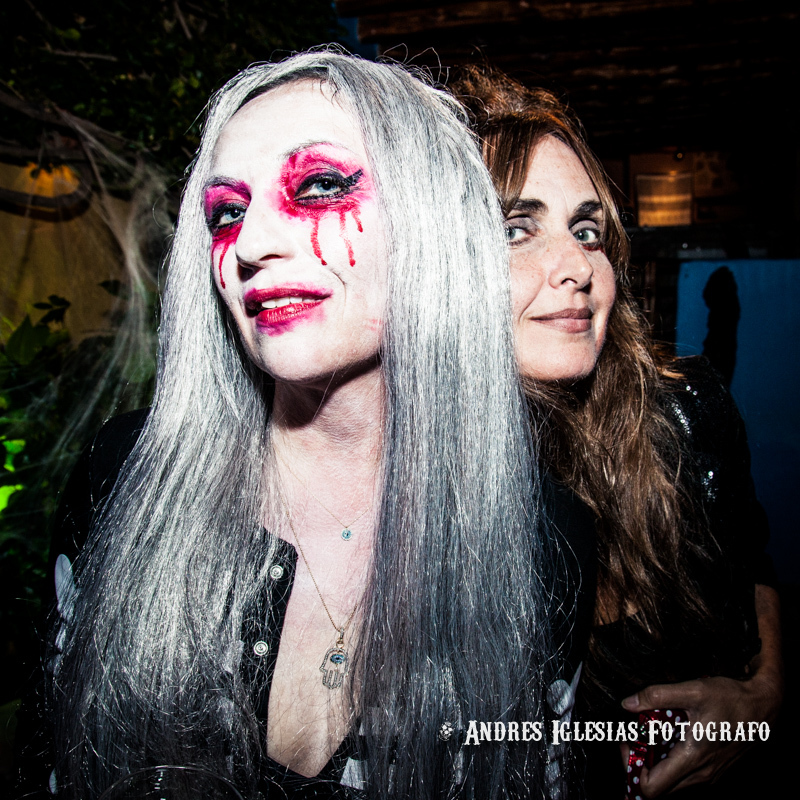 El Hotel despierta de la siesta y celebra la segunda edición de Vamp Rocks la noche del 31 de octubre. La única condición: si no te disfrazas, no entras. Djs confirmados hasta ahora, incluyen a Stray Kitten y Bones. Próximamente, más info. September 17, 2013. Tags: Andy Carrol, Arthur Baker, Bones, colin peters, Dave Lubin, David Morales, Disco Don Nigel Atkin, DJ Antz, Freddie Rocks Ibiza, halloween, Hugo Heathcote, Ibiza Rocks House At Pikes, Jon Sa Trinxa, Justin Field, Patsy Palmer, Skin, Skunk Anansie, stray kitten, Sunday Roast, The Mercury Phoenix Trust, Vamp Rocks. Uncategorized. Leave a comment. After a very successful run on Fridays, Idris Elba finally left our shores to shimmy his way up the red carpets of the international movie world, with the premier of his latest blockbuster, Pacific Rim. Accepting the challenge and the party gauntlet, Smokin’ Jo is the woman responsible for getting the weekend going through the month of September. Last week’s Guest DJs Skin (Skunk Anansie), David Morales, Bones, Andy Carroll and Colin Peters blew the imaginary roof off the House, and this week, an equally smashing line up including none other than Ibiza Rocks House’s old chum Mark Ronson plus Sandy Rivera (Kings of Tomorrow) joining Smokin’ Jo with yet another superstar yet to be announced. 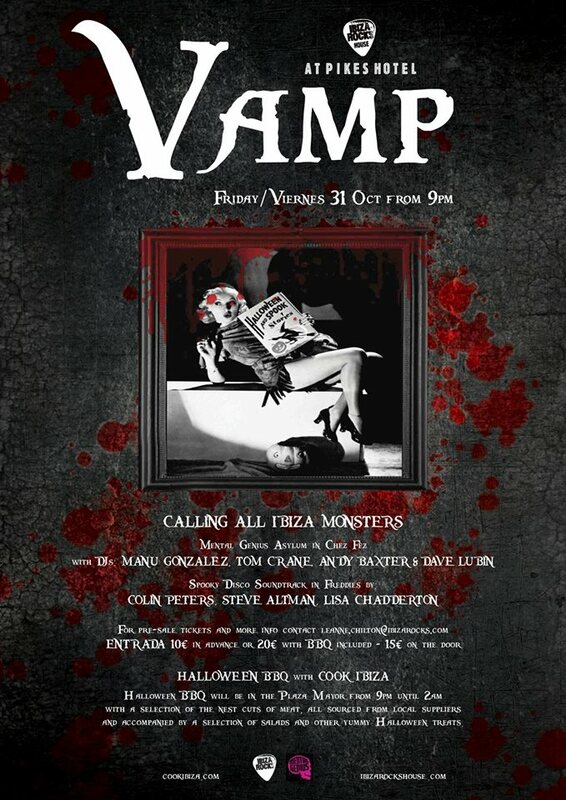 Which brings us rather neatly to Halloween and, after last year’s successful scariness, we are very excited to announce the return of VAMP ROCKS on31 October. 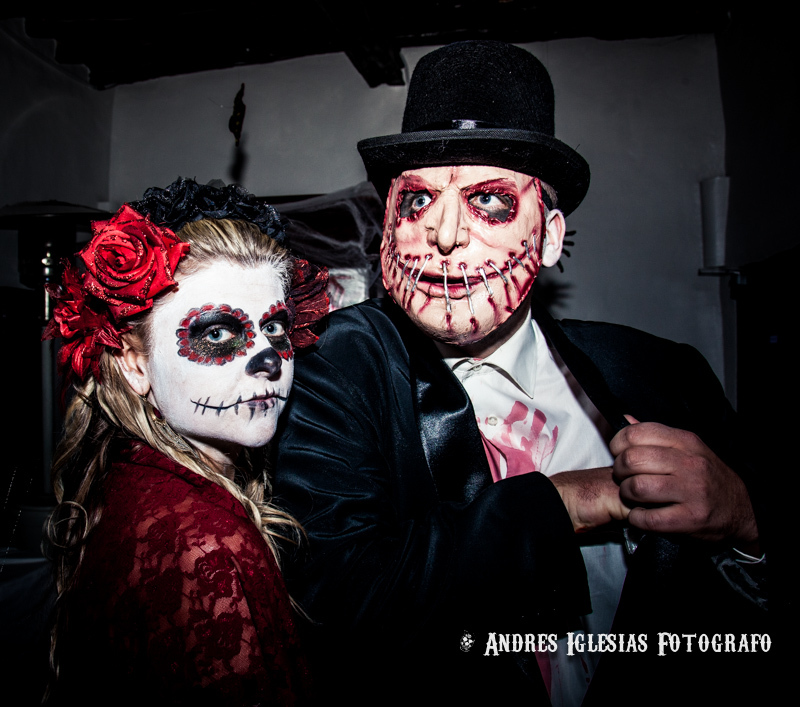 With tickets at 10€, price including a chalice of our finest mead plus a very scary surprise, this is guaranteed to be a night of shrieking good fun all round. No fancy dress, no entrance. DJs on the night include Stray Kitten, Bones and more TBC. In other news, and following on from the recent Freddie Rocks Fundraiser on 1 Sept, it’s with an enormous amount of pride that we announce that the total raised so far for the Mercury Phoenix Trust at this year’s event is 4,500€ and counting! Massive thanks to all who got involved with the annual hirsute fundraiser- this is one doo that is becoming quite the institution at the house on the hill. DJ Antz + Friends Play It By Ear /Sunday Roast. 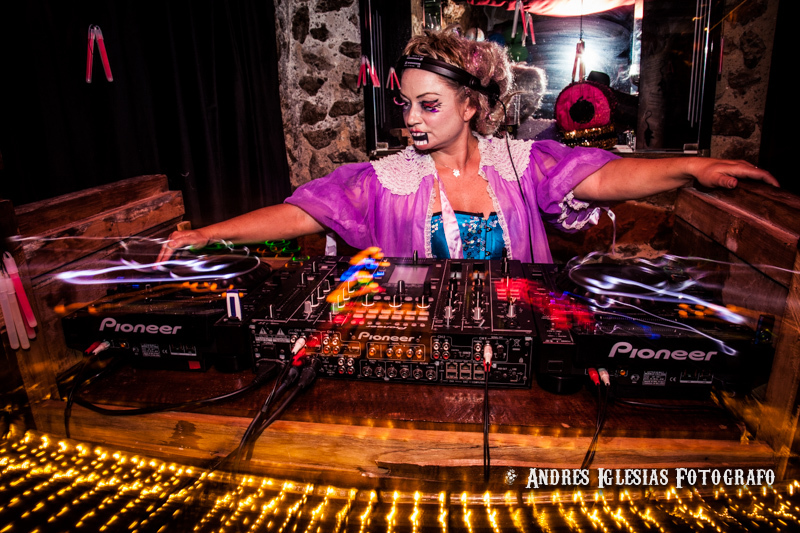 VAMP ROCKS- Back for its second year, get ready for even more hairy-scariness from the hands of the witches of Ibiza Rocks House. September 17, 2013. Tags: Andy Carroll, Antz Bryans, Bones, colin peters, Dave Lubin, David Morales, DJ, Freddie Rocks Fundraiser, halloween, Hugo Heathcote, ibiza rocks hotel, Ibiza Rocks House At Pikes, Jon Sa Trinxa, Justin Field, Mark Ronson, mercury phoenix trust, Nigel Atkin, Patsy Palmer, Play it by Ear, Sandy Rivera, Skin, Skunk Anansie, Smokin Jo, stray kitten, Sunday Roast, Vamp Rocks, We Are Rockstars. Uncategorized. Leave a comment.